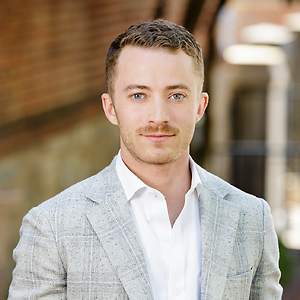 For successful Washington DC Realtor Tyler Siperko, real estate has been a dream career for as long as he can remember. He entered the profession right of college, and he began with a bang by earning "Rookie of the Year" accolades in his debut year. With a savvy understanding of both the professional and personal sides of real estate, Tyler is a trusted, down-to-earth ally who focuses on bringing hard work, superior customer service and a broad base of knowledge to every transaction. His fresh perspective translates into a sophisticated and tech-driven approach to buying and selling homes, and his smart, analytical style includes thorough contract and policy experience. Detail-oriented and known for keeping his finger on the pulse of the marketplace, Tyler is an in-demand resource for buyers, sellers and investors across the District, Maryland and Virginia. Tyler is a proud member of the highly regarded Friedson Group at Compass, a diverse team devoted to bringing a customer-centered attitude to every transaction. In his free time, Tyler enjoys hitting the gym and exploring our area's great dining, nightlife and shopping.